When it comes to running a business, there is one challenge that unites us all – time, or lack of. Yet it seems that some people either have more of it or get more done than everyone else even though we each have the same 24 hours in a day. Why is this? Thomas Edison famously said, Time is really the only capital that any human being has, and the only thing he can’t afford to lose. For some recruitment business owners the solution lies in working harder, while for others it is about working smarter. That is not to suggest that certain day-to-day tasks remain incomplete, rather it is about figuring out ways to be more efficient in how these essential tasks are performed. According to recent research undertaken by Geniac, 61% of small business owners admit to spending half their working week performing admin-related duties, such as raising and chasing invoices, performing compliance checks, calculating tax and NIC liabilities among various other essential yet time-consuming tasks. But this has been found to have a significant impact on the overall performance of the business itself. In fact, the same research also found that 73% of SME owners said that their businesses could grow far more quickly if they could spend less time working in the business and more time on it. Indeed, brainstorming new ideas and dedicating enough time to new business development affects 61% of small business owners. The reason would seem to be a simple case of multi-tasking, or put another way – taking on too much. Research conducted by Stanford University confirms that business leaders who multitask are less productive. This is because their focus is on trying to complete many different tasks, rather than taking one at a time and channelling their efforts to ensuring maximum effectiveness of the specific task in hand. Therefore, it not only makes good business sense to identify how to optimise your performance, it is also good for your emotional wellbeing too. 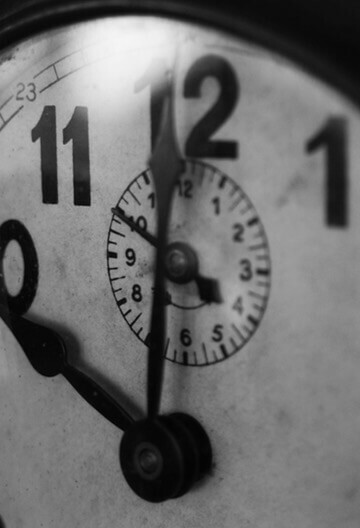 So how can you get more out of that precious commodity called ‘time’? If you are one of the 61% of small business owners spending half your week performing non-billing related activities, it may be time to look at ways to increase your productivity without the need to worker longer or harder than you already are. For instance, before you took the decision to go it alone, you probably worked for an agency that had an in-house team or dedicated external supplier who provided payroll, credit control, process and risk management support, for example. So why should it be any different with your business? Rather than shoulder the responsibility of performing the multiple roles of accountant, credit controller, administrator, compliance officer, marketer, IT helpdesk AND chief biller among others, just focus on the area of the business you know you do best and the one that prompted you to start up on your own in the first place – business development. For over 13 years we have helped and partnered with hundreds of recruitment business owners to provide the back-office support that frees up their time to build and grow their businesses at their own pace. Take a look and see if this is an area of support that you think we can help you with.